I am now back in Hong Kong! I flew from Beijing to Shenzhen, then took a bus across the border to Hong Kong. Hong Kong is a highly populated country that has shops and restaurants, on literally, every street. There are cafés, bakeries, restaurants, malls, and convenient stores everywhere. You’ll never starve in Hong Kong. That is, unless you’re out of money. 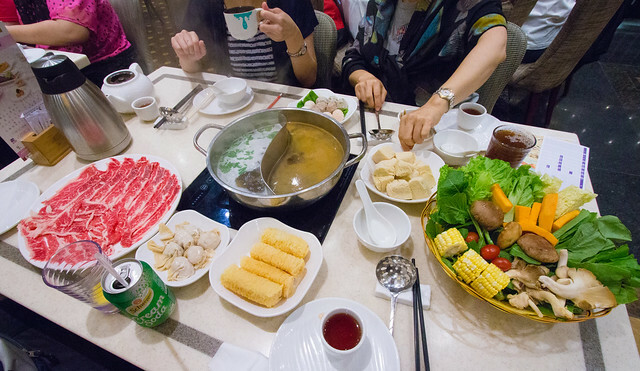 As soon as I arrived in Hong Kong, two friends treated me to a hot pot dinner at Windsor House in Causeway Bay. 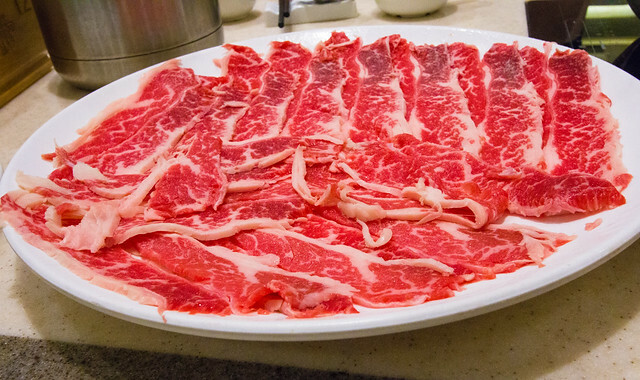 The restaurant had air conditioning, so we were able to enjoy hot pot. 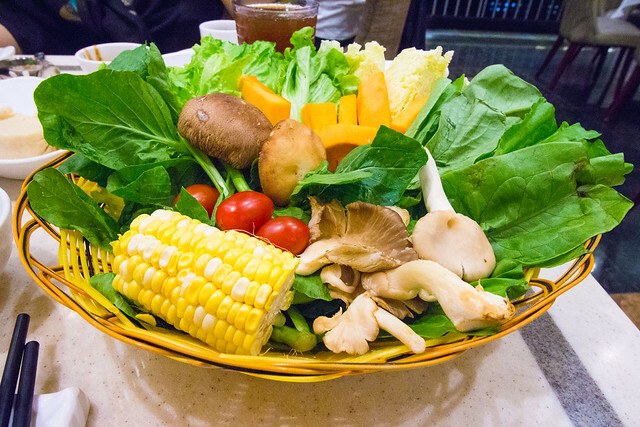 The hot pot was primarly Cantonese (Guangdong) style, but with a little bit of other styles as well. We had two different soup bases, one non-spicy and one spicy. 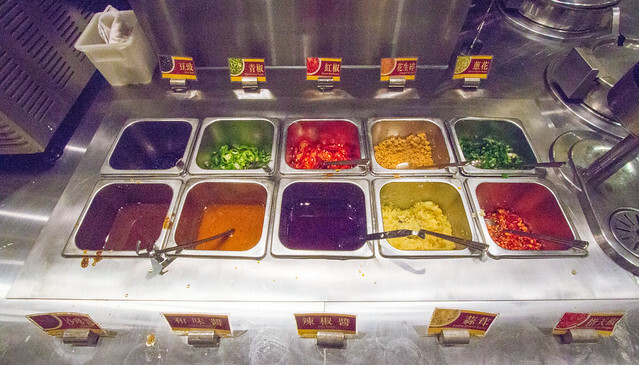 There was also a sauce bar, where you can make your own dipping sauce. Next to the sauce bar was a self-serve beverage area. You can get hot tea, hot almond tea, and or cold drinks from the soda fridge. 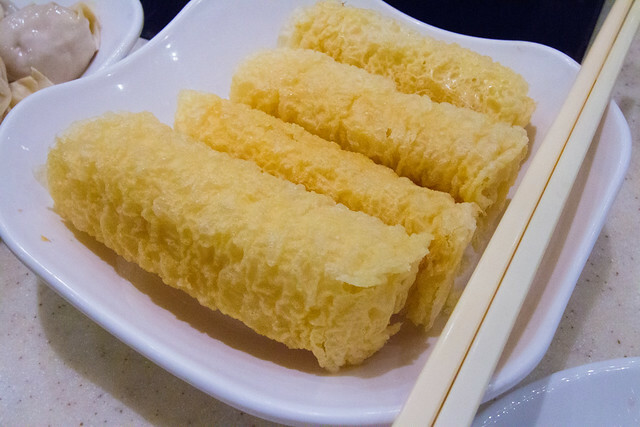 The bean curd rolls were to be dunked quickly and consumed immediately while still crispy. However, it was not crispy at all to begin with, which was a disappointment. 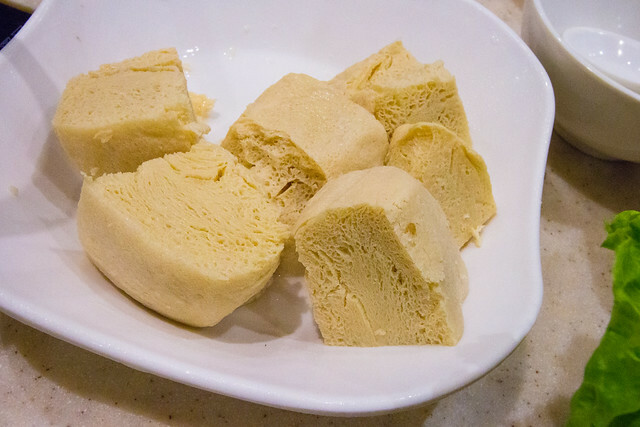 We also had won ton (shown in the first photo above). 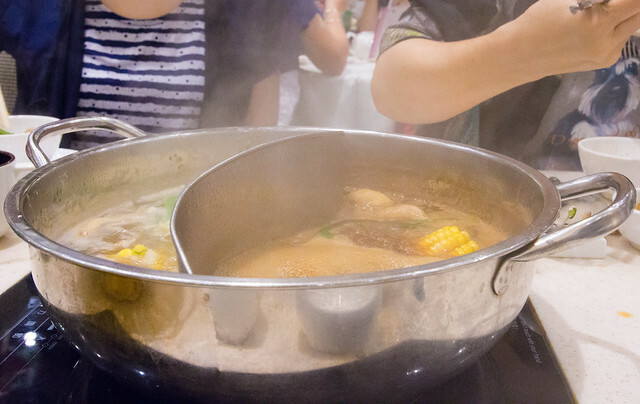 You also have the option of getting AYCE (all-you-can-eat) hot pot in HK, but most restaurants have a time limit of 2 hours. We opted to get each food as an individual dish towards our bill. Pier 88 also serves dim sum and Cantonese dishes.